As y'all know by now I am always challenging myself to find $40 dates for myself and Shaun. It's super easy for us to go to our favorite Mexican restaurant up the street and spend about $35 and be in and out in an hour but that's not very romantic or exciting. 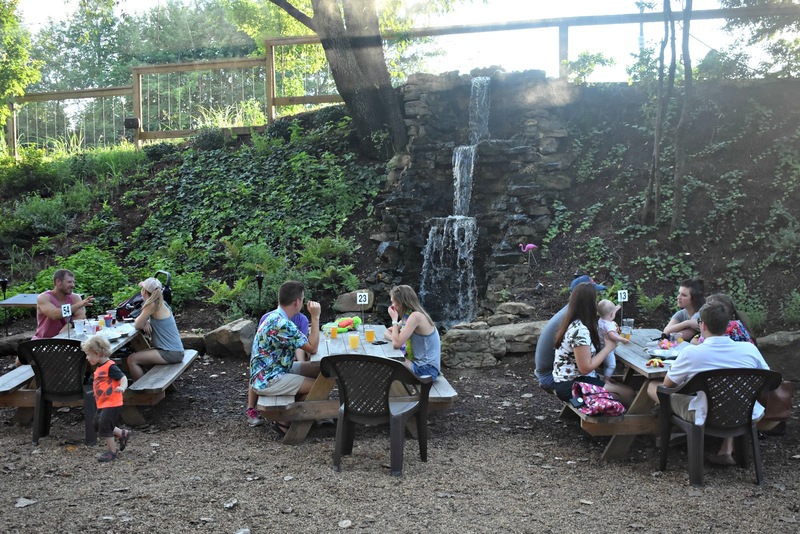 In general if a meal is going to be a $40 date than it needs to entire have a free activity attached or needs to be someplace really cool- and that's exactly what we found at Carolina Watershed when we recently visited with friends. 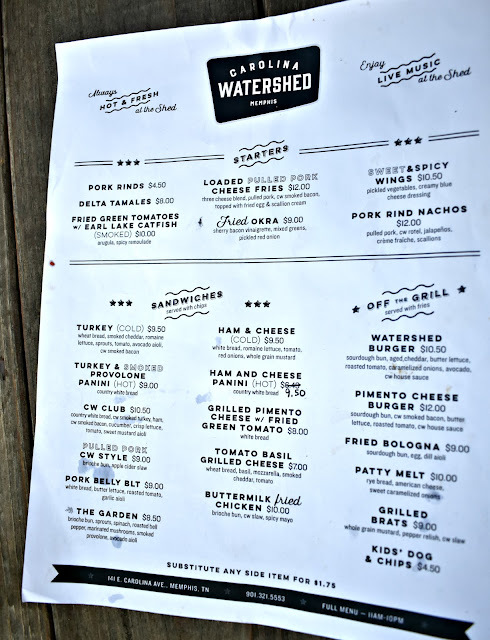 Although the watershed does have a bar and tables inside most people choose to sit outside and it's easy to see why - it's a beautiful outdoor oasis despite being on the outskirts of downtown. Plus, they have fans and misters discreetly set up to keep people cool and comfortable - it was over 90 when we visited but we were perfectly comfortable. 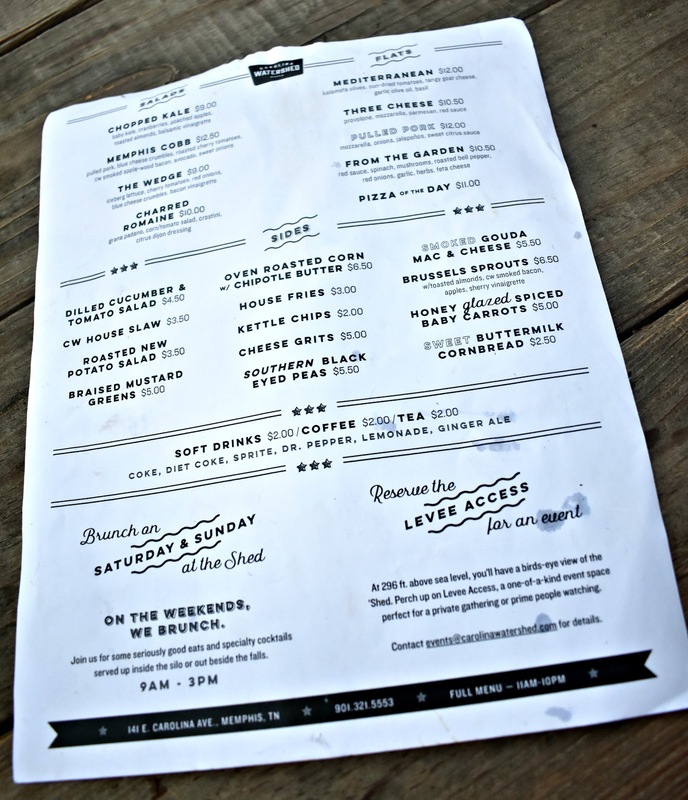 The menu provides elevated bar food and southern classics at a reasonable price point. We went for burger week but couldn't help but share and order of the pulled pork fries - they were very good! 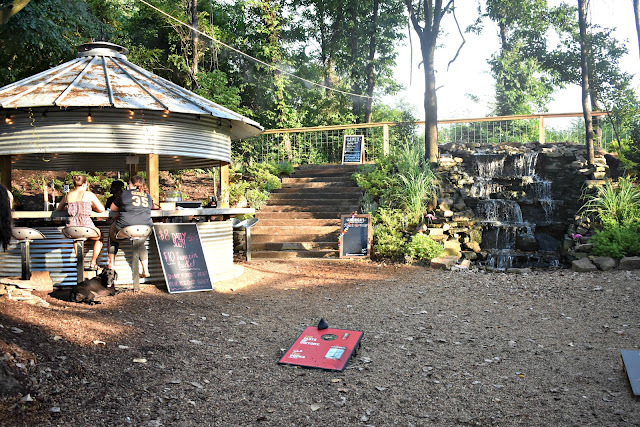 The outdoor area features two waterfalls, picnic tables, and elevated performance area where there is music on the weekends and a seating area with fire pits. I saw several people had brought their dogs so this up-ed the appeal for me. During our visit, there were several corn hole boards set up in the middle of the outdoor area. 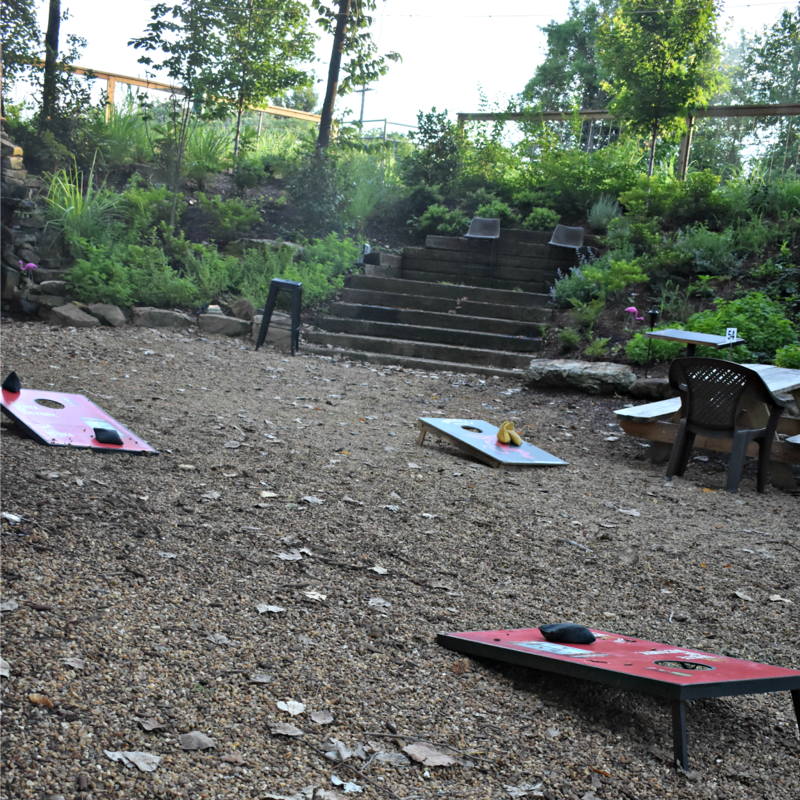 I think this is a great date spot because it's not just a meal - it's entertainment from musicians, games or both! 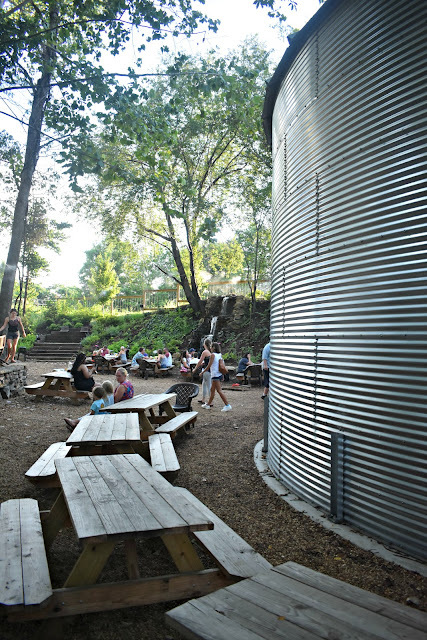 It would be very easy to spend a few hours here and while depending upon your drinking taste you could spend more a couple could grab a bite and a beer and spend $40 with tax and tip. 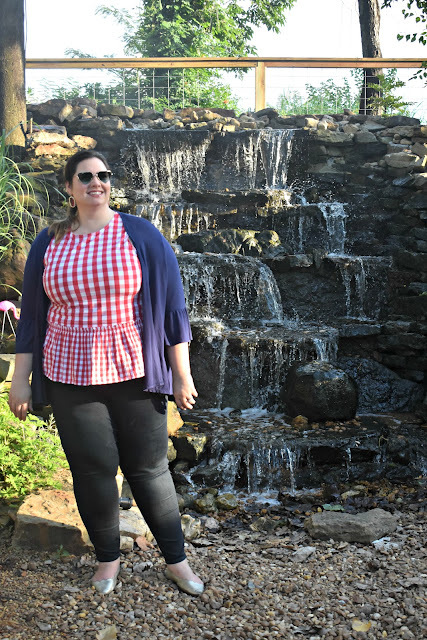 For our visit I knew this was the perfect spot to wear my red gingham top and I am not disappointed in the scenery for a great pic. Here's my outfit details - just scroll to see everything because I have a really good dupe for everything listed. The Top and Cardigan comes in both straight and plus sizes and I linked jeans in both.